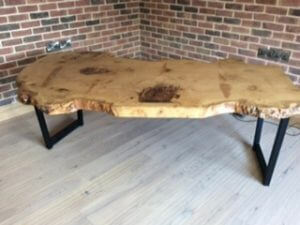 Natural wood home office desk, the desk pictured is 4.25 metres long x 800mm and is a single slab of English sweet chestnut, from a small Kentish village. 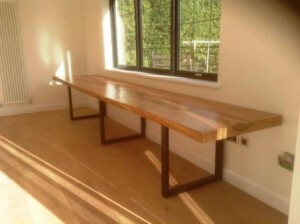 These desks can also be called natural wood desks, natural wood computer desk or natural wood office desks. This natural wood home office desk is a practical work station and one that can be made in a wide range of English timbers. however not all will be single slabs, as this chestnut slab came from a truely remarkable tree. 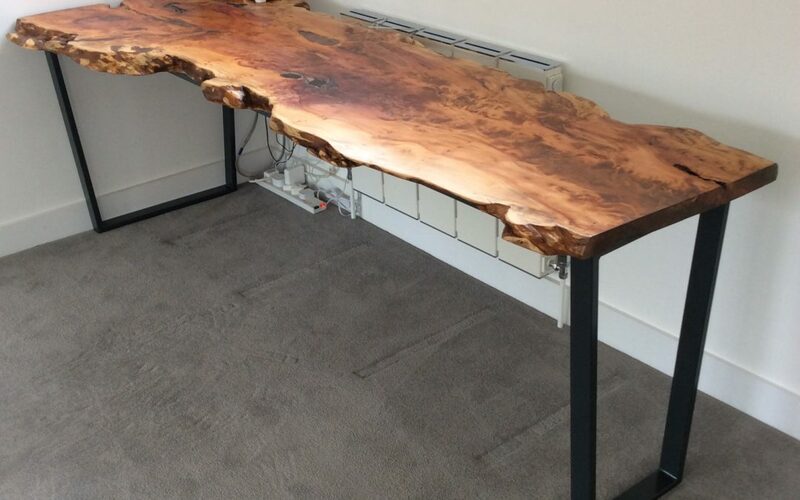 We could also attach a draw system to this natural wood office desk to suit your needs.